The MBTA, or Massachusetts Bay Transportation Authority, operates the transit system in greater Boston. They offer electronic tickets, or Charlie Tickets, that can be purchased at any station. 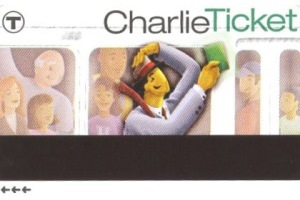 Riders can obtain plastic versions of the ticket at most stations that can be reused over and over, and they are often known as Charlie Cards. Previously, small change or brass tokens were used to pay the fare for riding the subway system. The predecessor of the MBTA was the MTA, or Metropolitan Transit Authority. 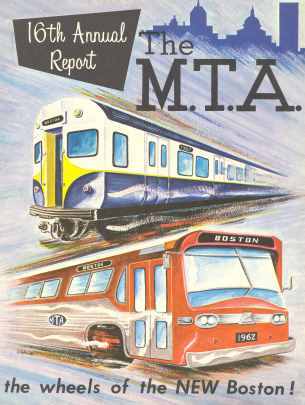 The MTA operated the Boston public transit system from 1947 to 1963. About Charlie Cards, the original nickname derived from a proposed far increase in the late 1950s (from 10 cents to 15, then later to 20 cents). In 1959, The Kingston Trio recorded a folk song entitled "M.T.A." The song is about a man named Charlie that got on a trolley in Boston at Kenmore Square. After that, the fare increased and he didn't have any more money, and couldn't get off the trolley (at the time, one had to pay again to debark the streetcar on some lines). The song muses that Charlie would ride the MTA forever. His wife had to hand him his lunch through the trolley window each day as it stopped at Scollay Square Station (now called Government Center on the Green Line). A blogger once joked, "Why didn't Charlie's wife just give him a nickel for the fare?" But of course the song wouldn't be part of Boston folklore over 50 years later if she had. Quoting the chorus of the song, "Well, did he ever return? No, he never returned, and his fate is still unlearned. He may ride forever 'neath the streets of Boston, he's the man that never returned."